It was about midnight when I relieved Dave. I had napped through out the day, so I felt fine taking over. Plus I planned to nap for 15 minutes through out the night. I was excited to see that we were near Jacksonville, FL. 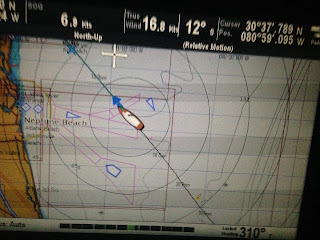 We passed thought their shipping lanes, but luckily there wasn’t any traffic at the time. 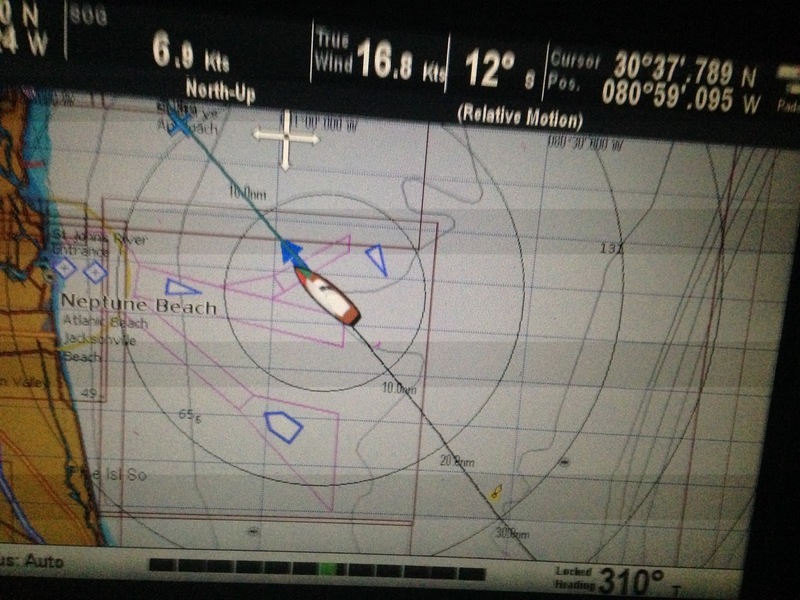 After we were passed their shipping lanes, traffic picked up. It helped keep me awake, but we never crossed paths with any of the ships. I like to check them out on AIS. It can tell you what type of ship it is, freighter, cruise ship, pleasure. And you can see where they are from, where they are headed, the name of the ship, how big it is and how fast it is traveling and on what heading. About 1:00, I was laying down in the cockpit. 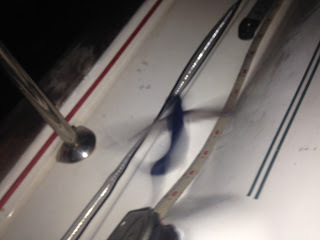 I heard something hit the deck beside me. I thought something had fallen and I was worried it was fall off the boat. So when I used a light to see what it was, I found a flying fish flopping on the deck. I tried to get a picture, but it wouldn’t hold still. Then I helped it back into the water. Pretty cool. If it had flown about 12 inches higher, it would have landed on my face. By about 4:00am, I could see the red lights at Fernandina Beach, FL. They have a paper mill there and have red lights at the highest point. 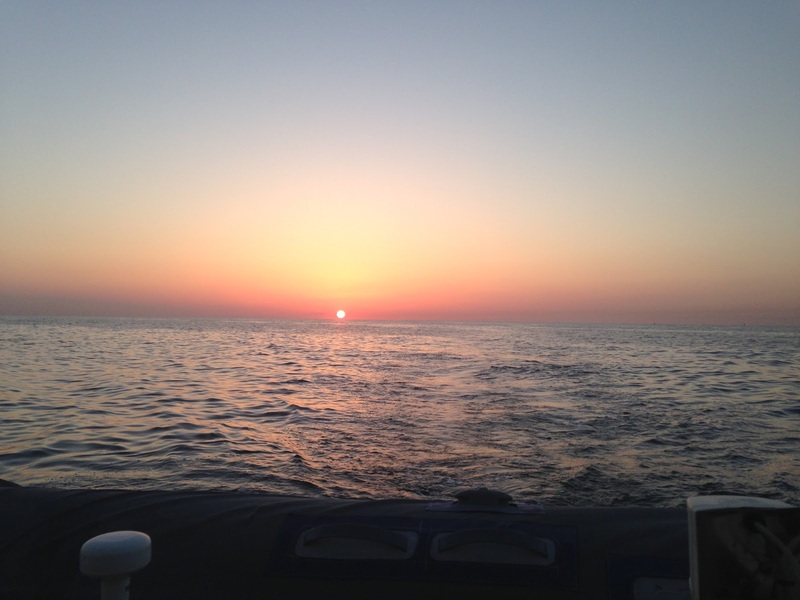 About 6:00 am, we entered the channel into St Mary’s inlet. It’s about 5 miles once you reach the navigation lights, which takes us about an hour. 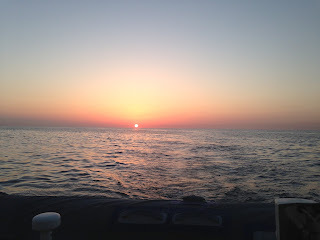 But I didn’t think I would want to leave the helm and go below to wake Dave once we were in the channel. That gave him time to wake and get ready before we had to anchor. 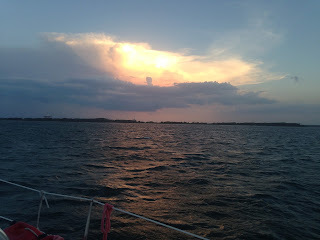 We were anchored on the Florida side of the St Mary’s River by 7:45 am. That was one hour short of 48 hours. We made really good time. After 8:00, Dave called the Customs and Immigration to check back in to the US. We had registered a Float Plan with them online when we left. And we updated it before leaving the Bahamas for our return. So we were able to call in, rather than go in personally, to check back into the US. We spent the rest of the day sleeping and eating and making phone calls and checking the internet.